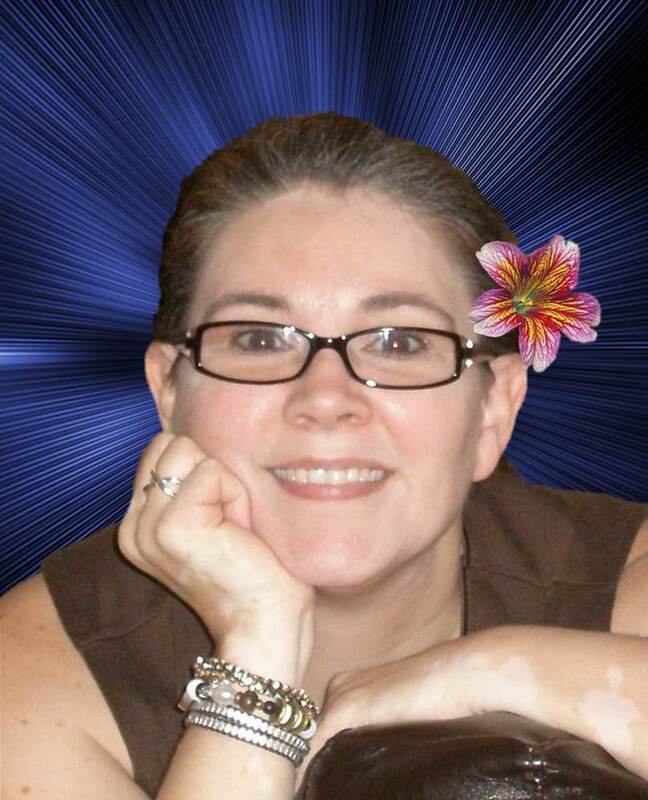 Back in the day, when I first started blogging, and didn't really know what I was doing as I fumbled around in cyberspace, Tara was one of the first bloggers I connected with. She has the most wonderful spirit, and has been a great source of encouragement over the years. Thank you my friend! And yes, we've come a long, long way, haven't we? Now, three years later, she's completed and published her first book. Congratulations, once again! So….. I'll hand you over to the lady herself —– take it away Tara! When editing an MS, you sometimes have to leave some good scenes on the cutting room floor (or in the little electronic trash can in the corner). Here are just a few scenes that didn't make it into the book, outtakes from Pop Travel. In the first chapter, I had to cut out a nice little scene getting to know a minor character. You know how that goes, have to get to the action! The girls slid over to make room for her. “Sarah, you look terrible,” Claire said, raising her glass. They all laughed. “Thank you. My doctor just said the same thing,” Sarah replied and got an added round of giggles. So much for quiet. She hoped the medicine lasted long enough to get through dinner. “When are you going to take a vacation?” Barbara asked. “I love my job. I don’t need a vacation,” Sarah said. “Your lips say ‘No,’ but your eyes say, ‘Help!’” Kate said. The girls whinnied some more. They had apparently taken advantage of happy hour while they waited for her. “My eyes? I just had them done. Besides, I see enough of the world when I work. “It’s not the sights, it’s the sleep. You need to spend some time in your own bed. Alone,” Claire said with a wink. They all laughed again. “Enough about me. Let’s order,” Sarah said and picked up a menu. “Hey, Barb, whatever happened on that date with Frederico?” she asked, raising her eyebrows at her. The other girls outright guffawed. Sarah winced at the sound, afraid it might summon her headache. Cooper dutifully played the messages. The first one began with a close up of large, faded roses printed on dull white fabric. The elderly woman was standing in front of the web cam. “Is this thang on?” She sat down. Her twang was thick and slow as she spoke. “Uh, Mr. Cooper? Well, I guess I’mleavin’ a message. Hey thar, Mr. Cooper. This here’sEmogine Clark. I wanted to tell you all that Zuzu came home last night. He was jest covered in filth. I don’t know whar in the world he got to, but he’s jess fine now. See?” She held up the smush-faced ankle-biter. “So I guess the case is closed. Thank y’all anyway. Bye bye.” She made Zuzu wave, then she stood up and cursed at her compucenter before she got it turned off, making Cooper grin. I liked this thought by Cooper, but it didn't fit. Controlling time was a technology he would appreciate. But for now he couldn’t waste any more. Blake smiled and used his key card to enter a maintenance hallway, still pushing his cart. After a quick glance up and down the cinderblock corridor, he stopped and studied the info Nate sent him. First, he memorized Audrey’s face. Then he examined a map of the ATC. Nate had highlighted the route to the locker room. It was further down the terminal just before the concourse trains. The cameras were also highlighted. He left the cart and sprinted, silently shorting out the cameras with his gun as he ran. When he reached the door closest to the locker room, he lowered his cap and entered the main thoroughfare. Blending in with a group passing by, he noted the surveillance camera pointed at the locker room door. As he headed toward the concourse escalators to wait for Ms. Baumer, his pulse sped up with anticipation. He loved playing the cat. Thanks again, Michelle, for letting interrupt your regular programming! I enjoyed your company, as usual, my friend! Now, here are some details for Pop Travel. When a distraught client enters J.L. Cooper's small town detective agency, ranting about a pop travel teleportation cover up, Cooper takes the case. He blames the pop travel craze for his wife's death and would love to expose a glitch in it. But the glitch turns out to be disintegrating travelers. And now, his client is dead, his secretary is missing, and a hitman is stalking him. Plus there's all the webcams watching his every move. Cooper must find a way to expose the deadly flaw, while using pop travel to escape the maniacs covering it up, not to mention save a couple of tag-alongs he's not sure he can trust. No problem. After having a hand in everything from waitressing to teaching math to rocket engineering, Tara Tyler now writes and teaches in Ohio with her three active boys and Coach Husband. In addition to her novels, she has published short stories and poetry in Science Fiction, Fantasy, Thriller, and Humor. So many stories to tell! I WISH YOU EVERYTHING OF THE BEST TARA! I'M SURE POP TRAVEL IS GOING TO SELL LIKE HOT CAKES! I hate it when you have to chop those tid bits out. My editor actually asked me to keep adding things, and I was like, "Are you crazy? The book is long enough as it is!" But you know how it goes, the editor is right. I loved reading these! Sometimes those scenes have to go. I had a powerful scene that was to end my third book and I'd written it before I had a solid outline. By the time I was happy with the outline, I realized it didn't fit. Bummer. How cool! Doesn't it feel good to share those snipits, even if they didn't make the book? It's so hard to cut those scenes we love. But it's always worth it in the end. It was fun to read these outtakes! Great idea for a post, Tara. It's hard to send those scenes out to sea on a raft, but they do resonate in others way throughout the story in absentia. Best of luck with Pop Travel. Alex, wow! thats so sad. but i know what you mean & once the rest sounds better its easier to let go, right? Melissa, yes it does! thanks for reading them! oh Elise! nuh uh! you crack me up! Carol, i guess… no, it does, youre right. thanks for coming over! Leslie, so true, the reader gets it if we do our job! and michelle, thanks again, sweetie!! Tara, thanks for sharing your cutting room floor with us. Killing those darlings hurts, doesn't it? But we must have action….Congrats on Pop Travel! Congrats and best of luck to Tara! I love Pop Travel, so much I have two copies (I won the paperback and bought the Kindle). My teen just finished it as well. While I like these scenes, I didn't feel I was missing anything when I read. Although, like Tara, I really like "Controlling time was a technology he would appreciate. But for now he couldn’t waste any more." Wow! Happy Thanksgiving and thanks to all of you for your well wishes and kind comments! It's been an awesome November! Michelle, you are the best! 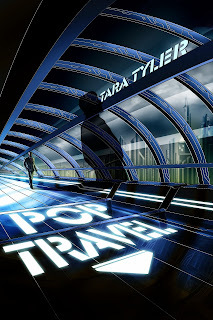 Just the term 'pop travel' sound so cool. Cutting favorite tidbits is super tough. I'm contrmplating cutting a whole chapter right now that I love. Maybe saving it to share later will help cut down on the sting. Thanks for sharing your killed darlings. Cutting is so hard and so essential. I have dozens of great scenes stashed in my Never To Be Seen file. But I may drag them out and use them somewhere, sometime. You never know. This is such a cool idea to share cut out takes! The book sounds awesome – so excited for you! Ha, I love the little snippets that didn't make it. Hey! More visitors! Lovely! Thanks, you guys! Sweetness! It was interesting to see your deleted scenes. It must be frustrating to have to cut some of your favorite lines, but maybe you can ressurect some of them for the sequel. Best of luck Tara! Thanks Michelle! Oops that is resurrect. Sorry about that ladies.